INKin' All Night! : Time to Celebrate! Did I mention that I love the stars background pattern! This paper is so EASY to work with! SERIOUSLY it is! 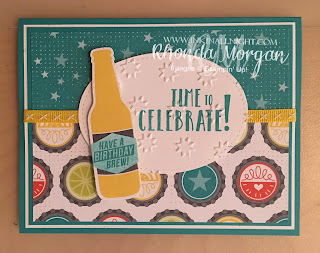 One side is busy but the other side is so accommodating and it kind of brings a nice balance to the finished card when you put two patterns together! I pulled these patterns together because of the STARS in the top pattern and the bottle caps pattern page had the blue stars in it as well! So from there I decided to pull in yellow as my next color - for ribbon and for the focal image of the bottle! What else do you see? Yep more stars in the oval using the Stars TIEF! It gives a nice added touch of texture to the card without a lot of layers! 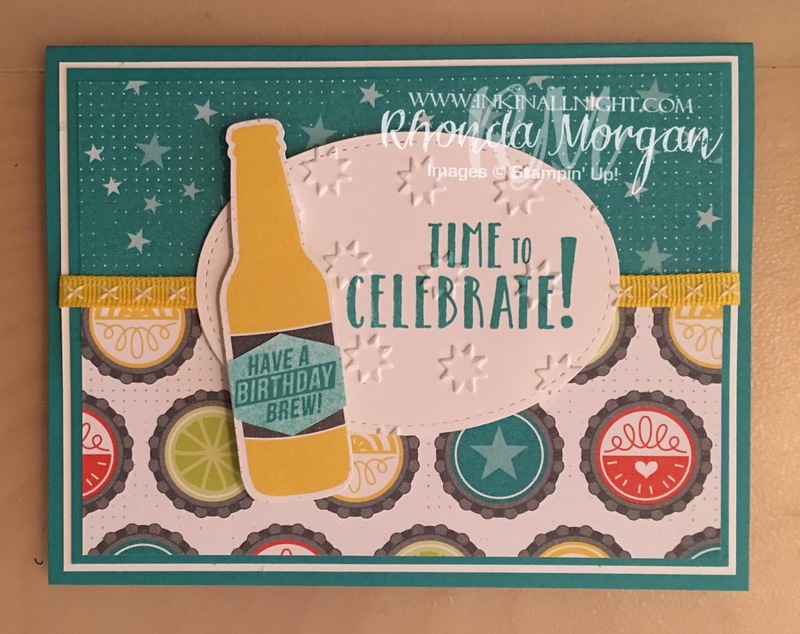 Add a birthday greeting to tie into the Birthday Brew greeting and we're ready to celebrate!